I currently have a winged PDK and I have a Touring coming in April. Iike most I really wanted a manual but I have fell in love with the PDK. I was on the "list" but I didn't think I would get a car so I bought an available car. I ended up getting the last allocation at my local dealer. Now my ultimate vehicle would be a PDK touring. Does anyone know if the swap would be difficult? It’s called a Carrera. Not difficult at all to buy. 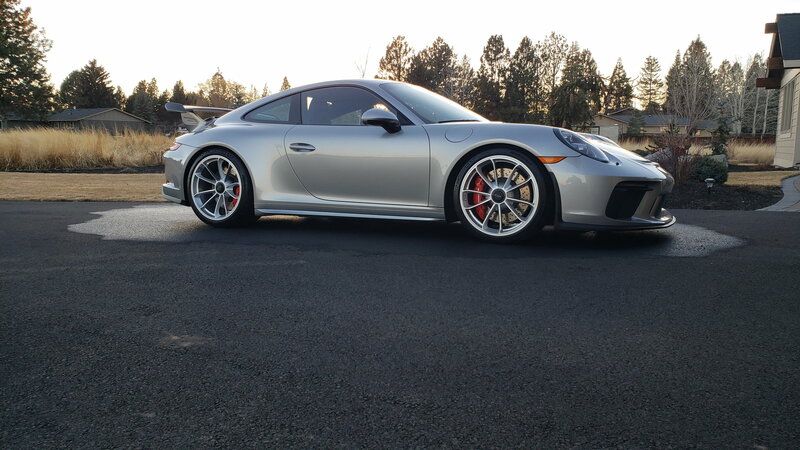 Can you get a Carrera with a 500 horse power naturally aspirated engine and gt3 race suspension? Didn't see it in the configurator?? That was my first idea I called a couple wrecking yards but no luck yet. It would be the easiest. Also the touring would sell for much more money so that is my plan A. If anyone has a standard rear deck lid I would to to buy it. I would imagine you could by an OEM Touring rear deck lid but you would also have to swap out the wiring harness if you want the rear deployable spoiler to actually go up. no you get 50 less hp and a similer suspension and and the financial hit to get one will be a lot less than converting a winged pdk to touring. I believe the intake ducting is different between the winged and Touring GT3s beneath the decklid — two intake ducts vs a single centered one respectively. The intake boxes and filters themselves are also different. Decklid and ducting option considering both are GT3's! You should be able to put a Tiptronic in the Touring.